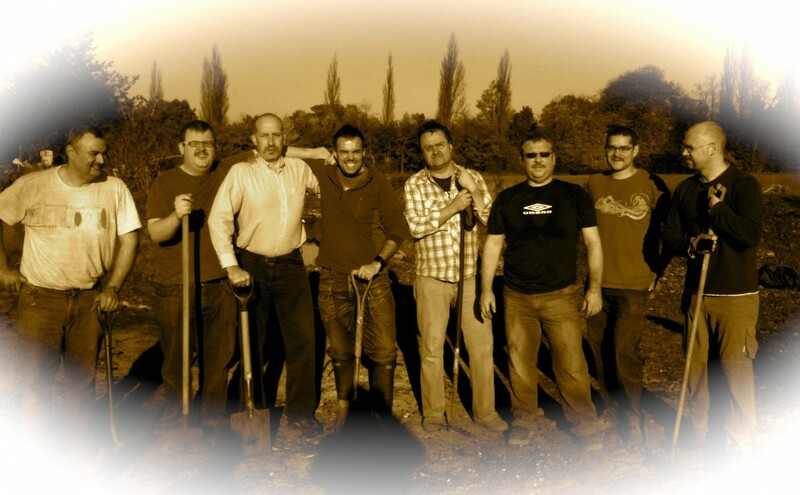 Clearing up after bonfire…we don’t always look this camp, the moustaches were for Movember! So what about Lymm and District? If you’re thinking, “blimey they get up to a lot; my missus will go spare if I’m out every other night!” – don’t worry, you don’t need to attend everything, you can just turn up to whatever takes your fancy. See our Social Calendar for the full rundown of events. For a small monthly fee a lot of the above is free or heavily discounted at the very least. All we ask is that when it’s time to put in a bit of hard work, be it building a bonfire, marshalling the general public, or selling tickets for racing ducks, you do what you can to chip in. If this sounds like your cup of tea, email info@lymmroundtable.co.uk to find out more or to attend one of our next events.